The history of KETR began in the early 1970s as the director of the East Texas State University radio-television program, Dr. David Rigney, developed an FCC application for an FM station that would be a teaching-laboratory for students. By the time KETR actually went on the air, April 7, 1975, Dr. Rigney had moved on. The station operated in a former classroom on the first floor of the Journalism Building, with Phil Wayne Ebensberger, a veteran Texas commercial radio broadcaster, as general manager and morning show host. KETR weekday programming originally emphasized local news, information and middle-of-the-road music from early-morning sign-on to early afternoon; classical music in the early afternoon (this was soon replaced by jazz); National Public Radio’s All Things Considered in the late afternoon; various public affairs programs in the early evening, including live broadcasts of Commerce City Commission meetings; and “Freeform,” a student-hosted rock music program from 9 p.m. to midnight. Weekend programs predominantly featured classical music or opera, such as the long-running “Texaco Metropolitan Opera” broadcasts. Early on, KETR emphasized local news. A half-hour local and regional news program, “ATC (All Things Considered) Commerce” started in the fall of 1975, and produced the first of the station’s many Associated Press and Texas Association of Broadcasters awards for local news and public affairs programming in 1976. KETR sports programming also began in the fall of 1975, with student-produced broadcasts of Commerce Tigers football, and Ebensberger and former ET All-American quarterback (and then ETSU Security chief) Sam McCord as the voices of ET Lions football. The first Commerce Tigers broadcast featured the Tigers playing at Honey Grove, with future NFL quarterback Wade Wilson leading the Commerce offense. The first ET broadcast was the Lions’ 42-10 win over Prairie View A&M in the Cotton Bowl. KETR also broadcast Commerce Tigers basketball for many years, and, of course, ET basketball, continuing to this day. With Ebensberger behind the mic, KETR followed the Lions to NAIA basketball tournament appearances in Kansas City in 1977 and 1978. In 1977, the station moved from its cramped quarters in the Journalism Building, to new studios in the Performing Arts Center, where it shared facilities with the Radio-TV program. KETR remained in the Performing Arts Center until it moved to new facilities in Binnion Hall in 2008. In the early 1980s, after Ebensberger departed, general manager Bill Oellermann obtained FCC approval and a grant to raise KETR’s tower height and to increase power from about 7,500 watts to 100,000 watts. This increased the station’s broadcast range from about 20 miles to 75 miles. In 1982, the station adopted a format of adult-contemporary music in the daytime hours, abandoning jazz in the afternoon hours. This eventually evolved into the station’s identity as “The Mint,” playing oldies rock. Around the same time, Mark Chapman began hosting the weeknight “Art of Sound” jazz program, which continued until 2008. “The Art of Sound” was replaced by “Notably Texan,” hosted by Matt Meinke, who started “Notably Texan” as a weekend program several years earlier. Also in the early ’80s, KETR began its long-running Sunday night bluegrass program, first with volunteer Dave Heath, and later, to this day, Bill Ogden. After moving away from National Public Radio programming in the mid-1980s, KETR has recently rejoined NPR and once again features “All Things Considered” and “Morning Edition,” among other NPR programs. KETR was one of the original stations carrying “Morning Edition” when it debuted in 1979. 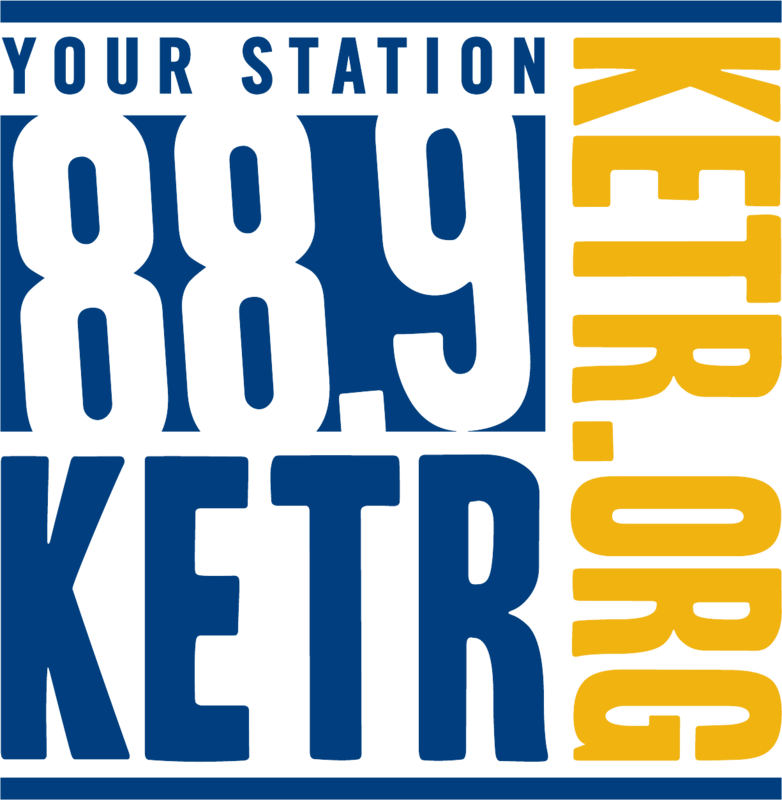 In recent years, under the guidance of station manager Jerrod Knight, KETR has conducted several highly successful membership drives and has aggressively moved in the direction of online and digital programming, with KETR.org and a new digital transmitter, which offers the opportunity to begin HD broadcasts in the near future. This information was compiled and penned by J.M. Dempsey. KETR is committed to providing Northeast Texas citizens and the Texas A&M University-Commerce community with entertaining, educational and informative programming. The station also serves as a learning environment for university students to pursue excellence in broadcasting and journalism.